Clark Seif Clark provides testing and consulting services to identify and resolve indoor environmental issues associated with water leaks. Even small water leaks need to be addressed as soon as they are discovered to prevent property damage, mold, IAQ issues and termites. When a water leak occurs in a residential or commercial property, the presence of water and moisture can not only ruin and destroy building materials and personal belongings, it could also result in mold contamination, indoor air quality (IAQ) issues and even a termite infestation. There are some species of termites that are attracted to water damaged wood. 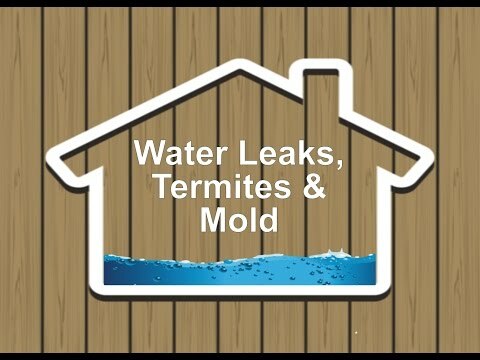 A small water leak in a wall cavity or crawl space that may go unnoticed for months or more provides for an ideal environment to attract termites that consume wet wood. Termite damage can be extensive and is often not covered by property insurance policies. In fact, the National Pest Management Association reports that termites cause over $5 billion in property damage each year. Whenever moisture is introduced to an indoor environment, mold growth will almost always occur if materials are allowed to remain wet or moist for more than a short period of time. Most building materials, furnishing and personal belongings will quickly support the growth of mold if they remain wet or in an environment with elevated humidity levels. The presence of mold can also cause indoor air quality concerns for building occupants. Inhalation exposure to elevated levels of mold can act as a respiratory irritant, allergen and trigger an asthma attack in some people with the condition. Many types of mold also produce mycotoxins and some types of mold associated with water damage can result in fungal infections in people with a weakened or suppressed immune system.